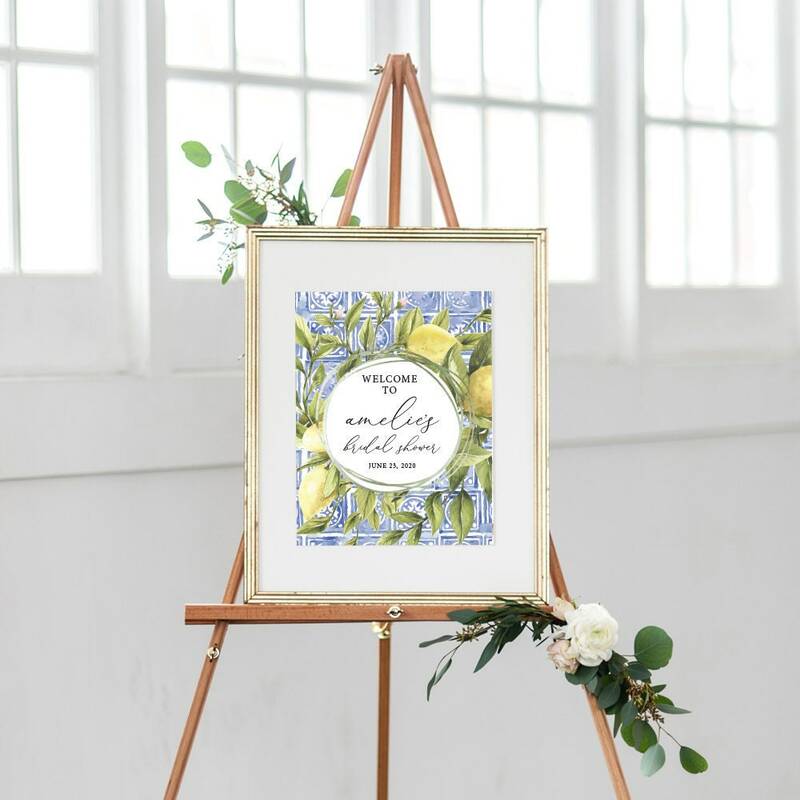 This pretty 18x24" BRIDAL SHOWER WELCOME SIGN or BABY SHOWER WELCOME SIGN features lemons and italian tile. Your guests will love the gorgeous design. This listing is for design work only. You will receive a 18x24" high-resolution JPG or PDF. Print as many copies as you need. 2. After your order is received, it will be processed as quickly as possible. Purchases are completed in the order they are received. I will e-mail you a JPG or PDF. After you have reviewed your invitation, you may request necessary changes. If I have made an error, it will be fixed for no additional charge. Up to two free revisions are included in the purchase price, after which there will be a $5 charge for any additional revisions. You may use the file to print as many copies as you need.